Hi! My name is Jen, and I wanted to start a blog as a place to document and share my ideas that I use in my speech room. Speech Universe will be a place where speech and language ideas can grow! 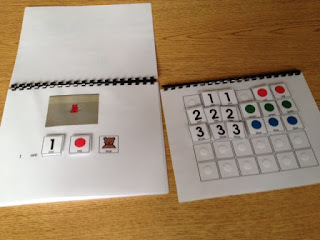 My first activity that I want to share is an activity that I have been using with several of my students who have Autism Spectrum Disorders (ASD). Many of them have goals that target commenting on objects color, shape, size, and quantity. I decided to make an activity that targets two of these concepts: color and quantity. 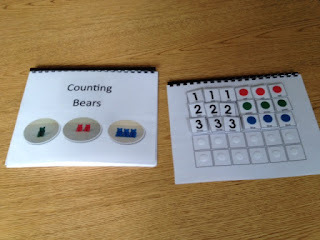 Describing Bears by Color and Number has been a great activity that my students have enjoyed. I laminated the pages, velcroed the pictures, and bound the pages into a book. 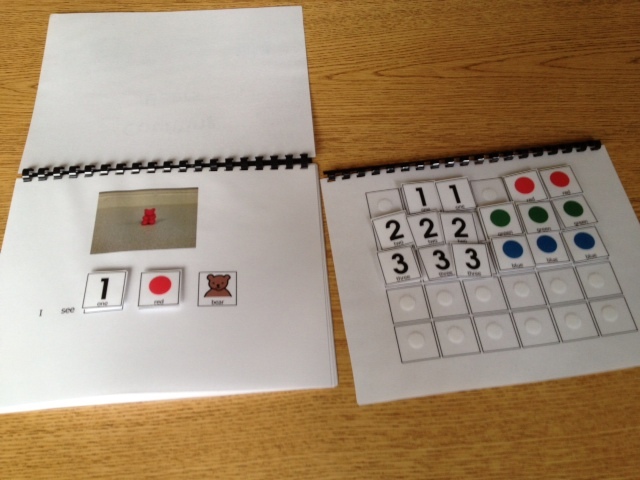 I did leave a velcroed page out so that students can easily access the picture cues. I have been amazed at how quickly students who previously were not able to use a sentence to describe are not only creating these sentences visually, but also speaking the sentences! They are even starting to generalize this skill without the sentence starters and visuals. These pictures look a little different from the pages I have on my TPT site because I could not give away Boardmaker pictures for free. Thanks for checking out my blog. I am new to all of this, but excited to see where it can go. I have been so inspired by so many speech bloggers out there, and hope to inspire others too! I love your site, Jen! Looks like it will be a great resource for other speech & language professionals.